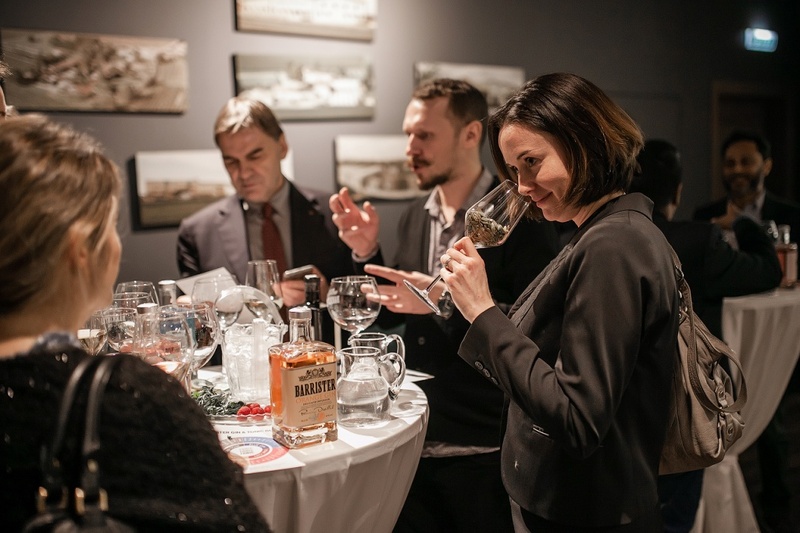 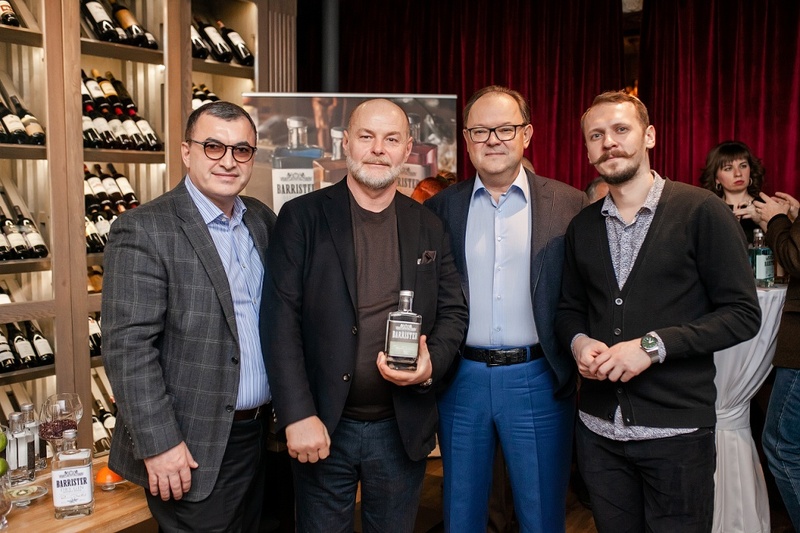 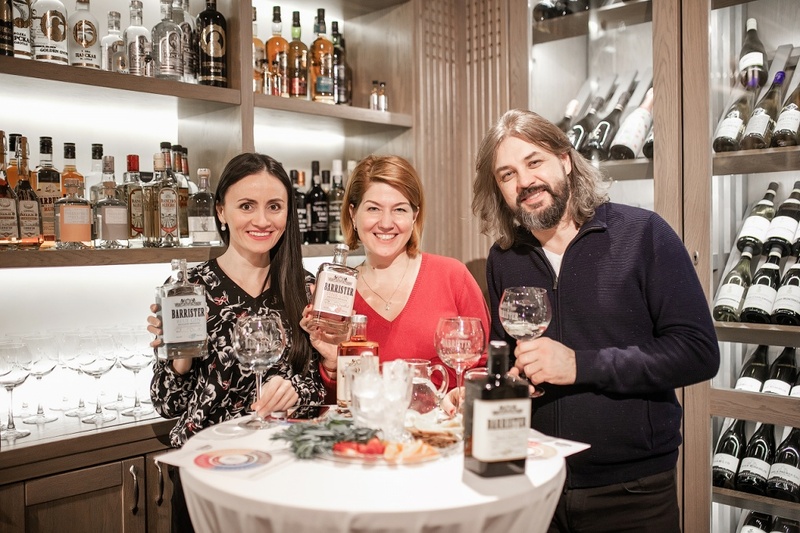 The Prodexpo-2019 International Exhibition opening party for LADOGA Group’s foreign partners was held in Monopol Wine Restaurant in downtown Moscow on February 11. 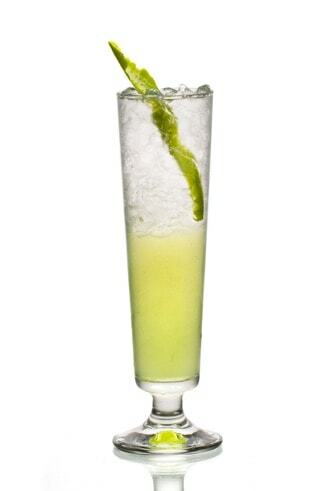 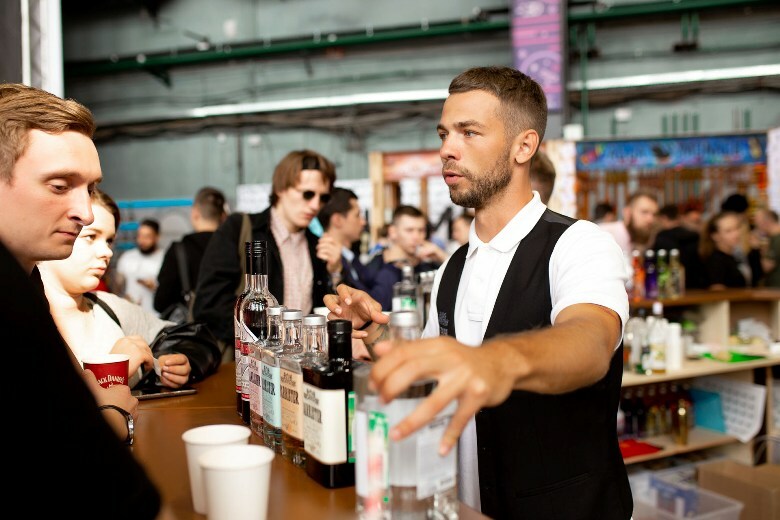 The master-classes of preparing Gin&Tonic, the most popular cocktail of the World, was organized for the guests. 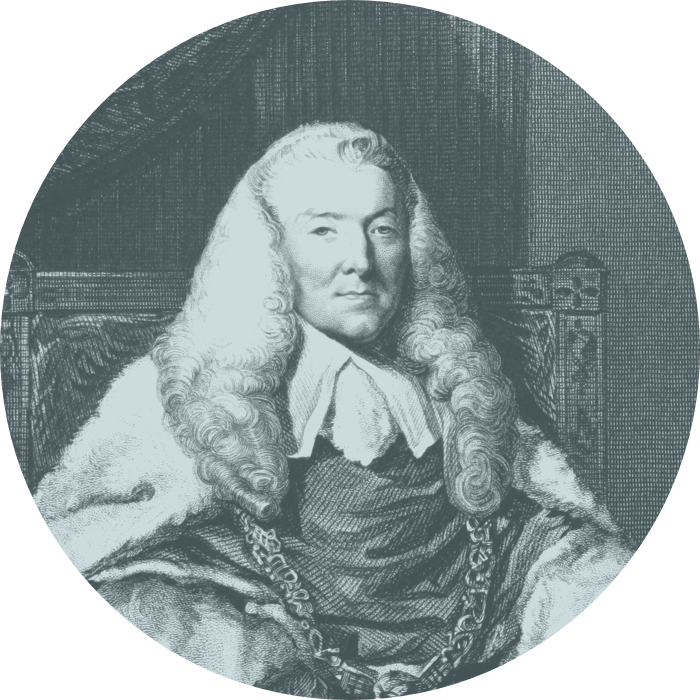 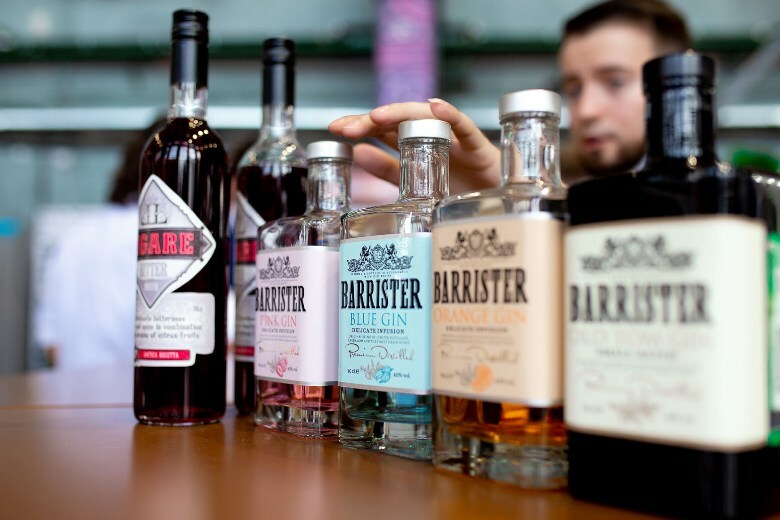 Everyone made his own signature cocktail using one of the four Barrister Gin flavors – Pink, Orange, Blue or Old Tom – and more than 20 natural garnishes (strawberry, raspberry, anise, basil, rosemary etc.). 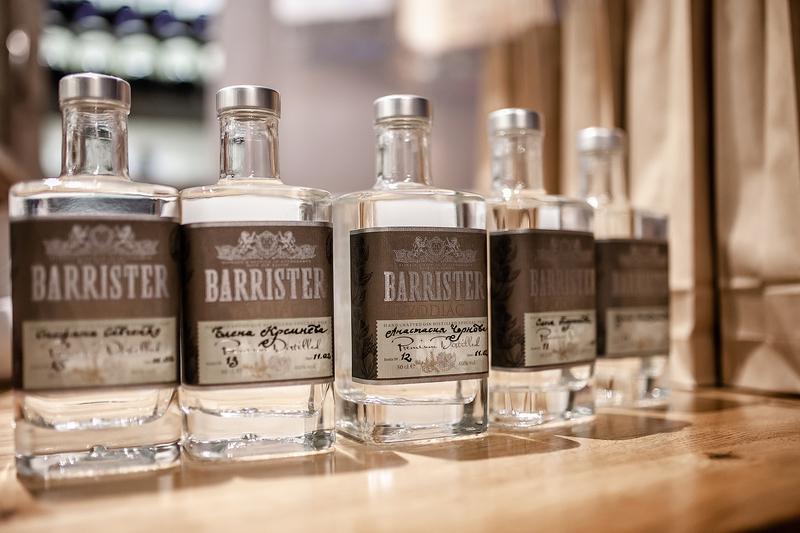 Every participant was gifted with a limited edition bottle of Barrister Zodiac Gin with the name of the guest. 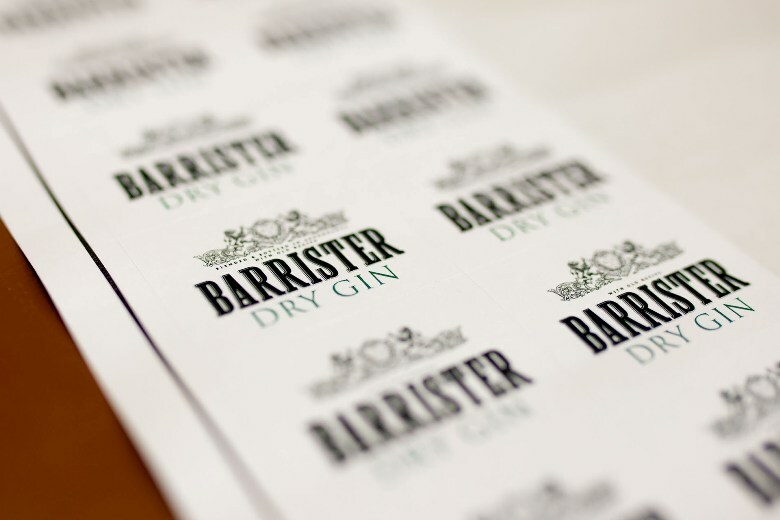 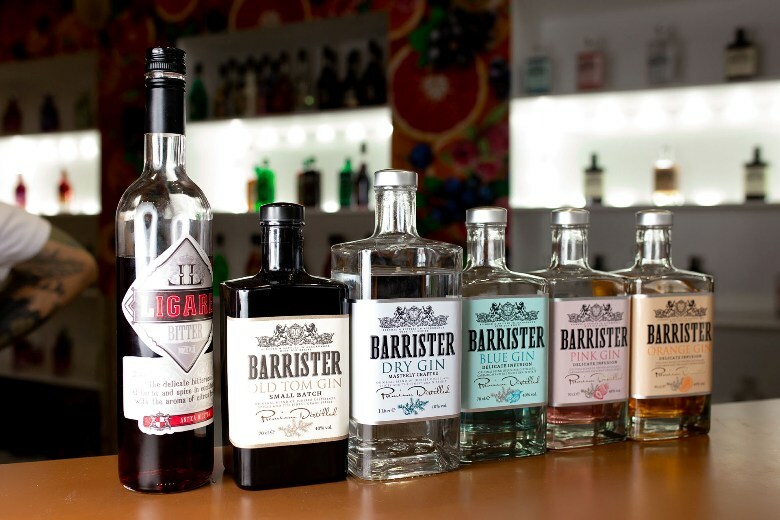 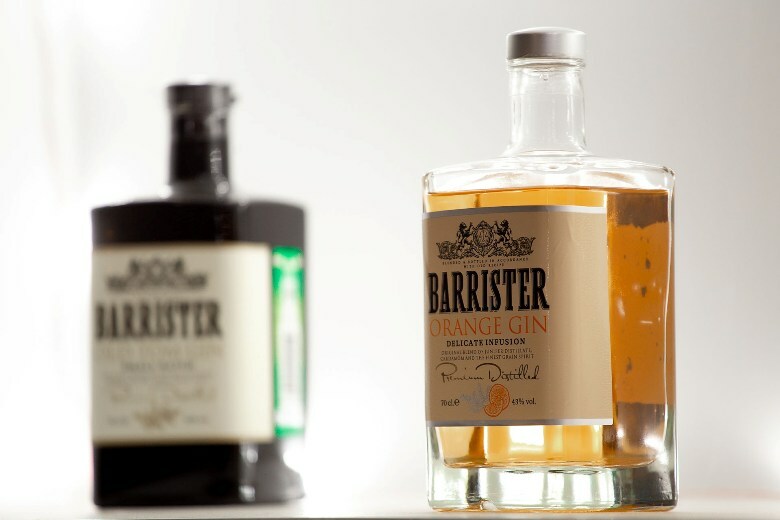 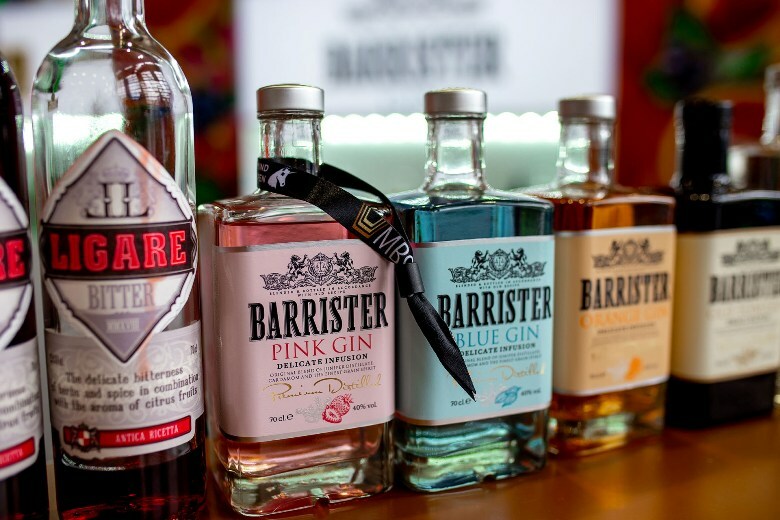 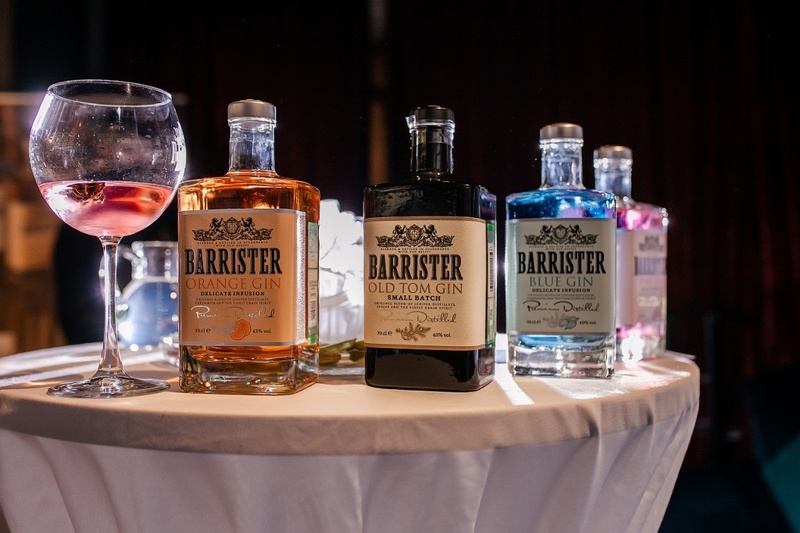 Three new flavored beverages were added to Barrister Gin line-up. 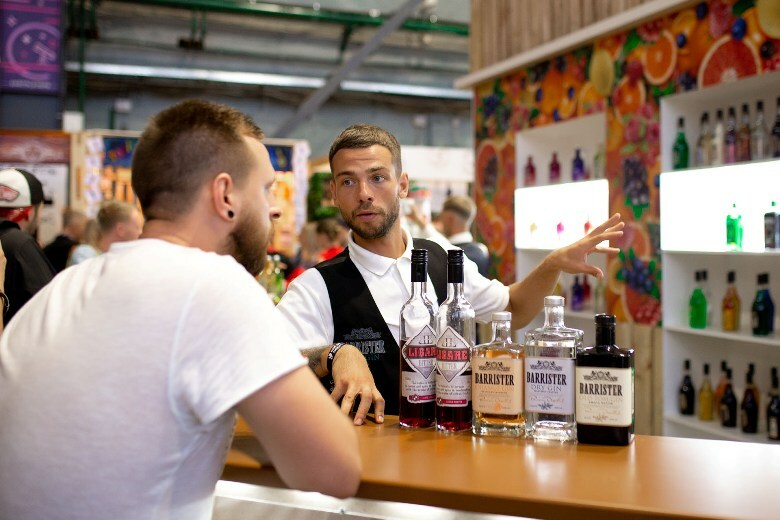 The renewed line-up was presented in September and October at the MBS exhibition in Saint Petersburg and Duty Free in Cannes. 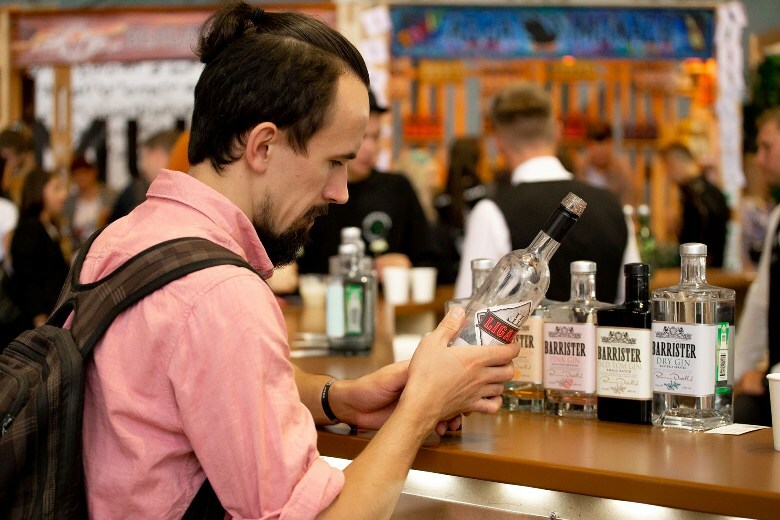 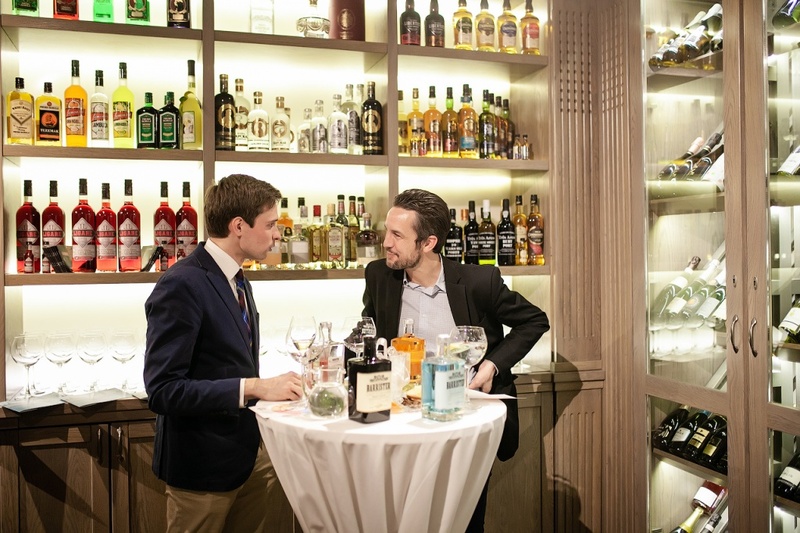 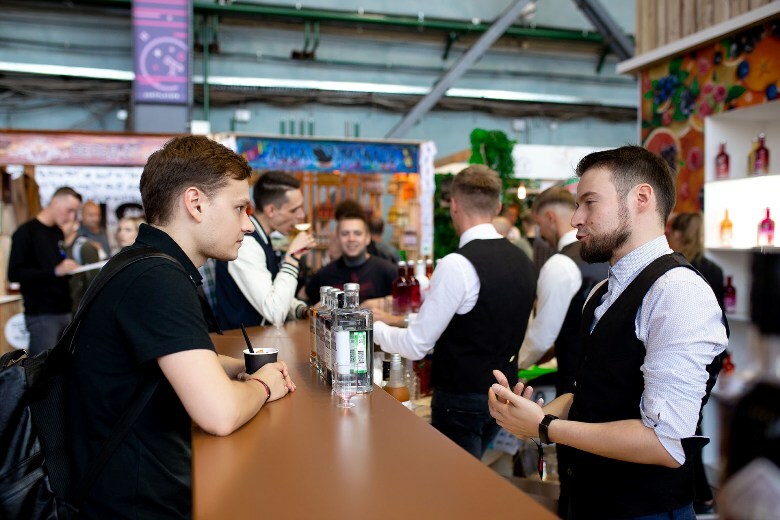 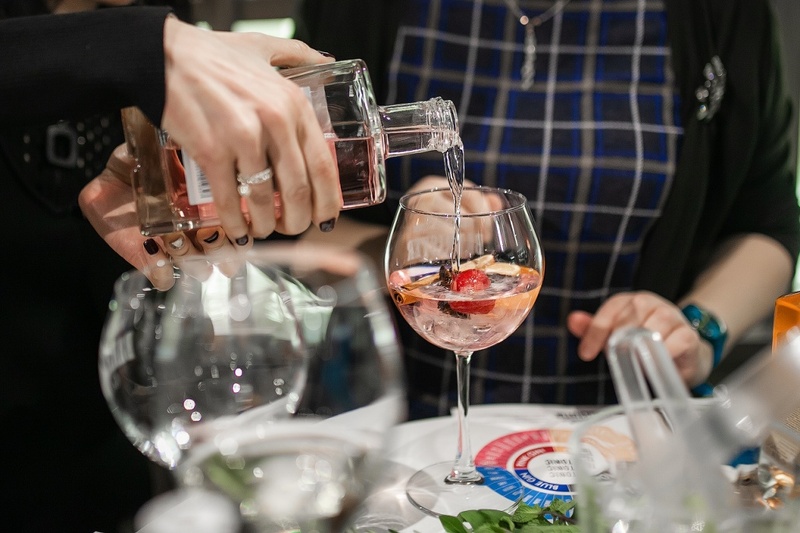 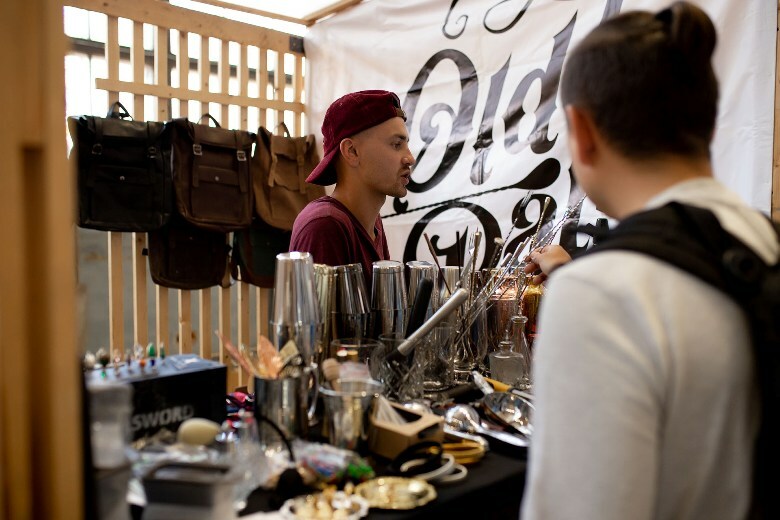 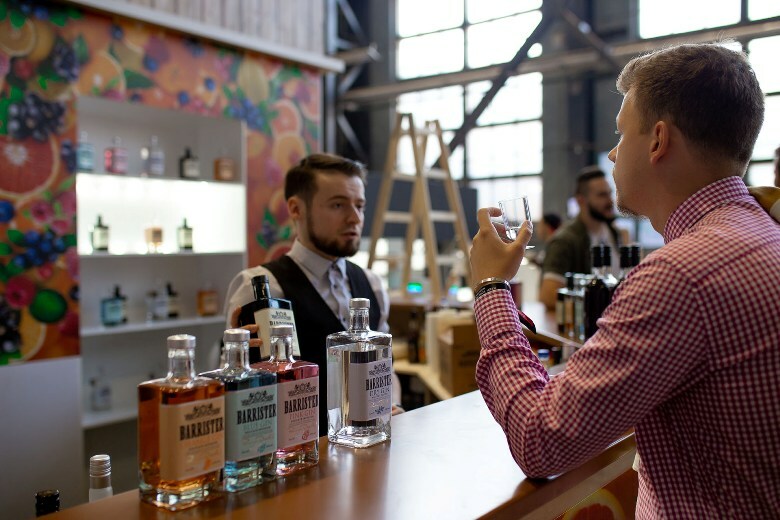 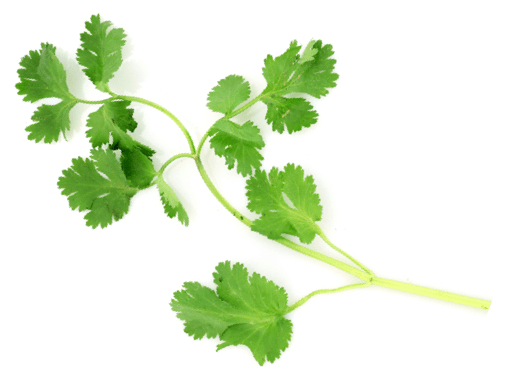 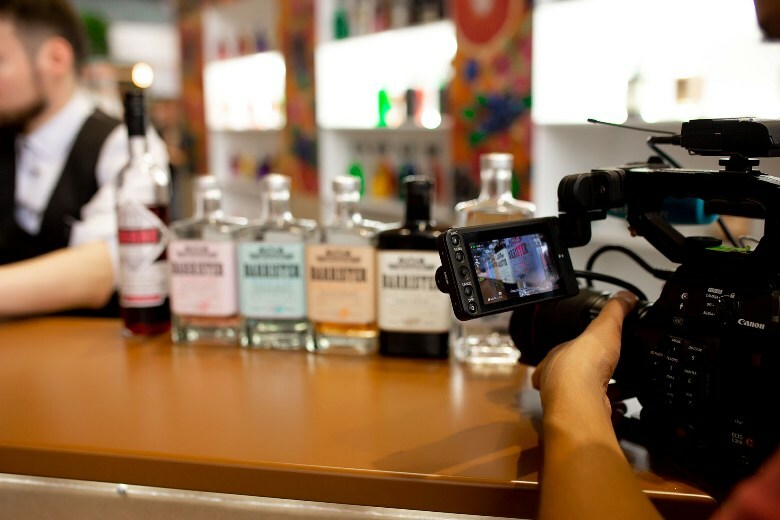 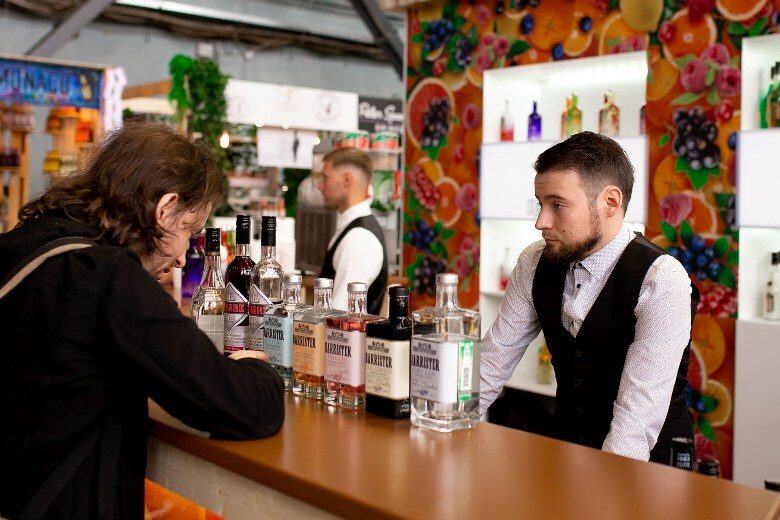 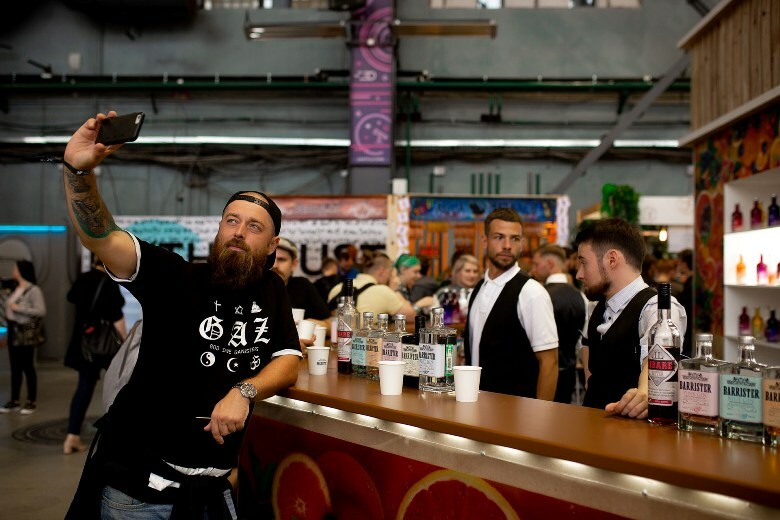 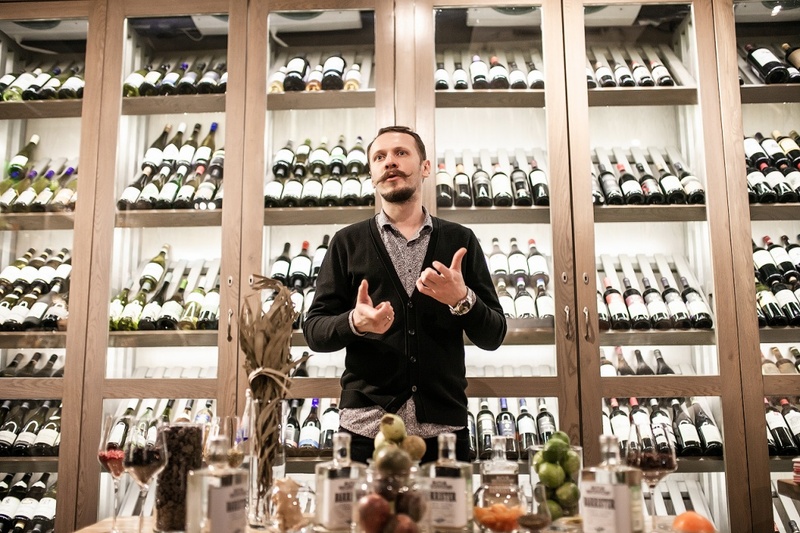 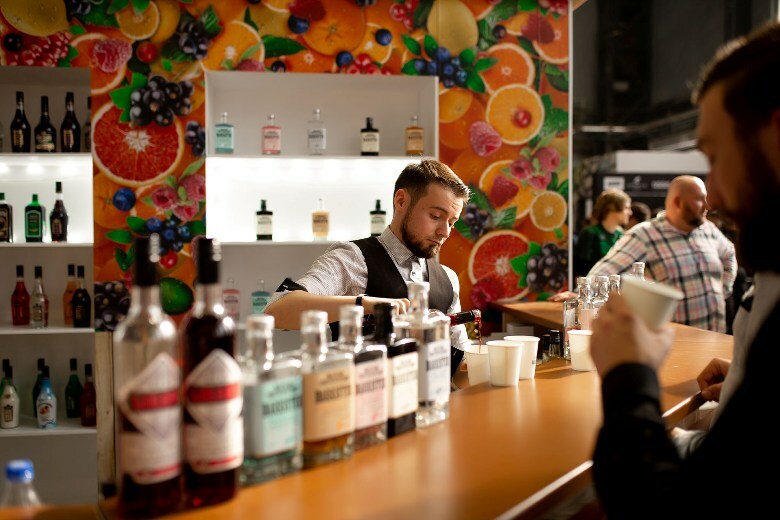 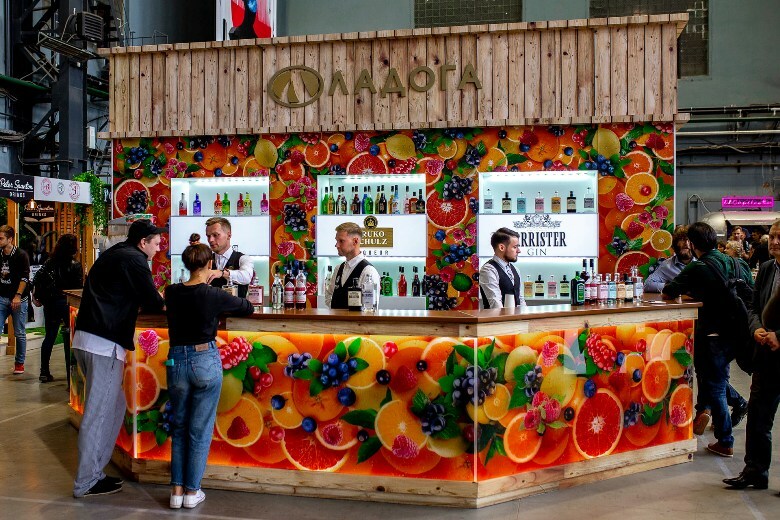 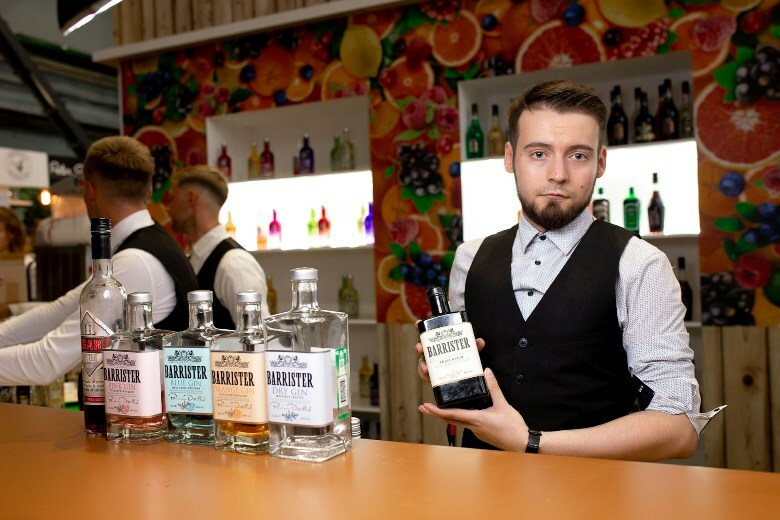 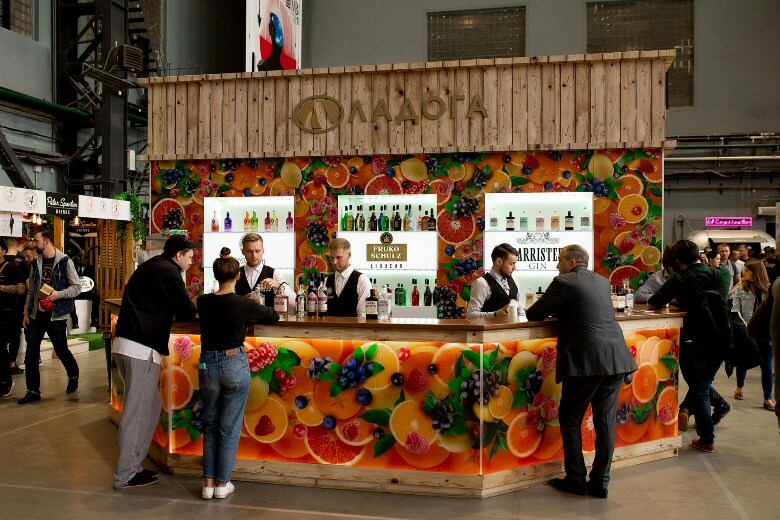 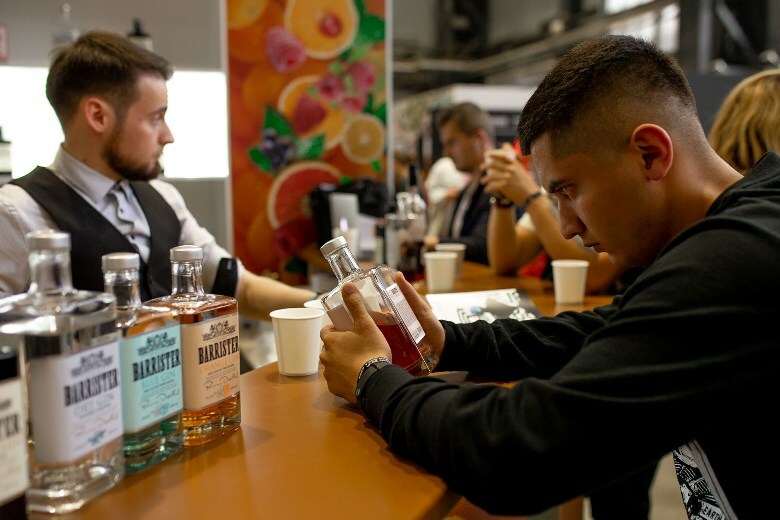 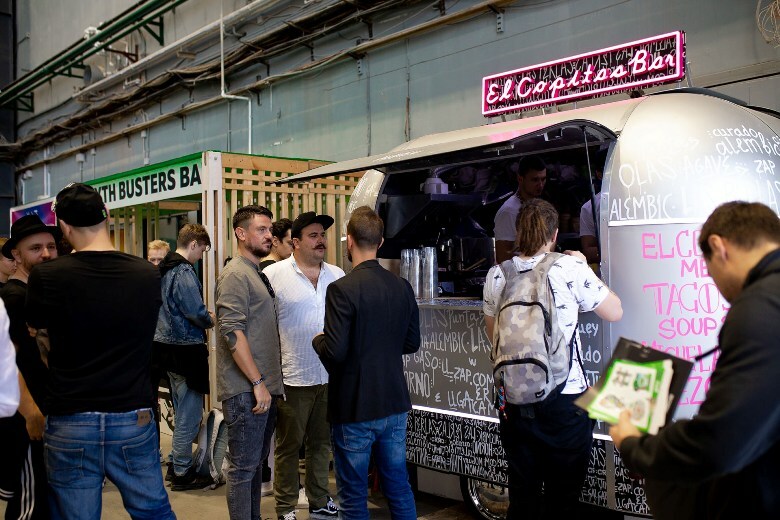 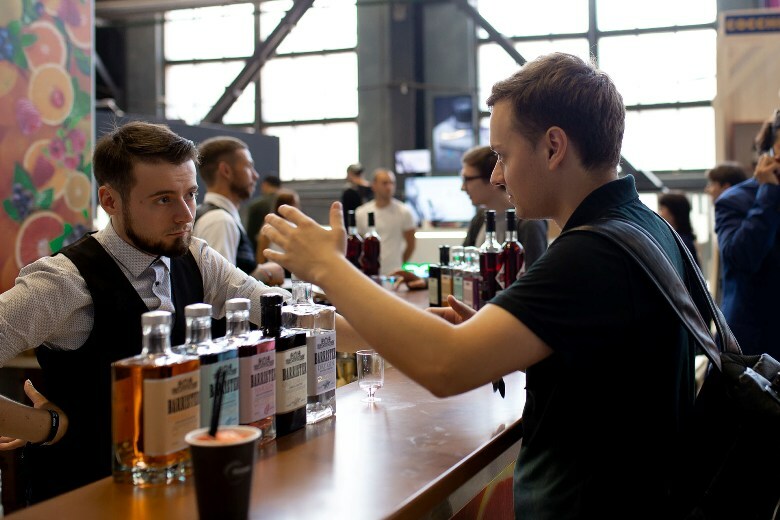 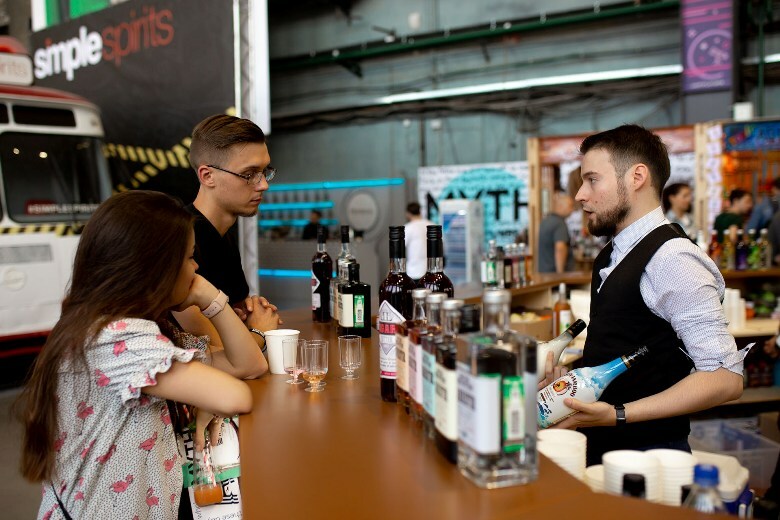 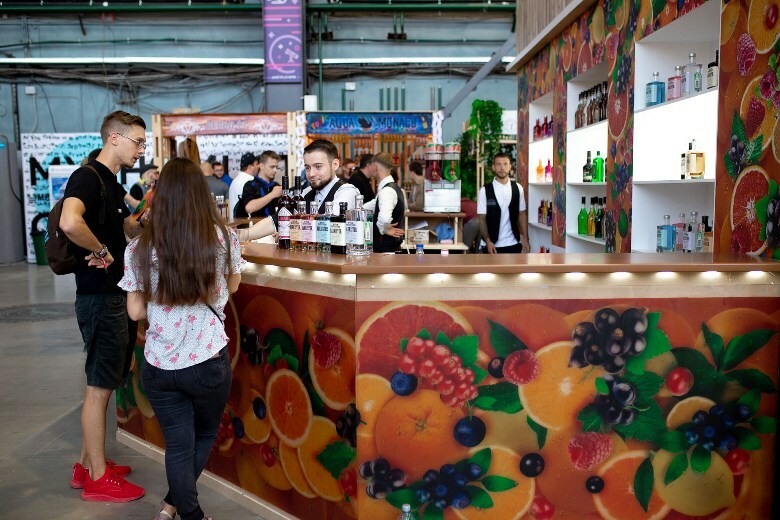 The premiere of new flavored gins in Russia was held at the Moscow Bar Show -2018 in Russia in October. 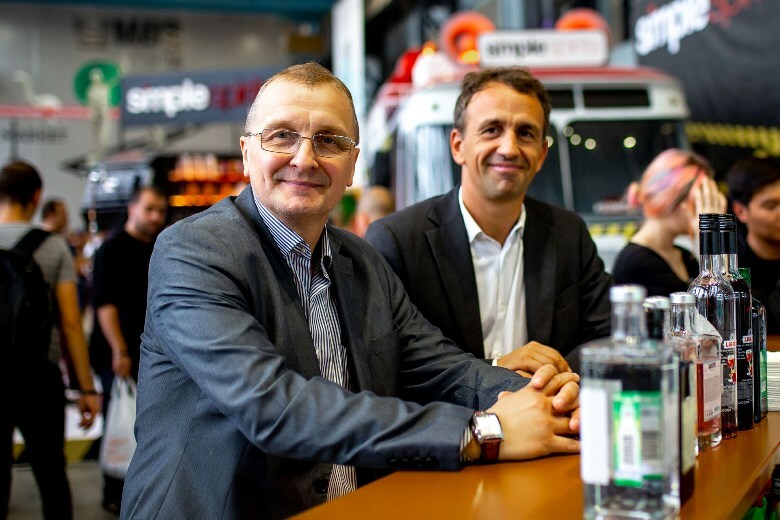 A month later the new range was presented at the annual Tax Free Show in Cannes. 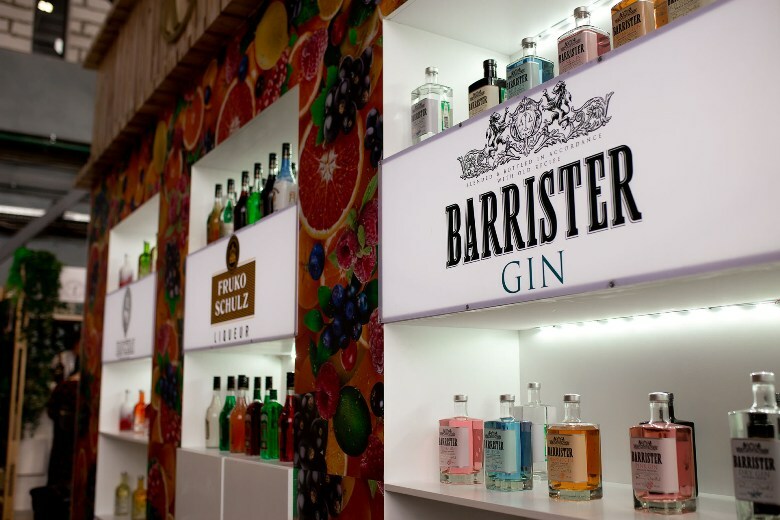 The visitors of both events left positive feedback about Barrister flavored edition. 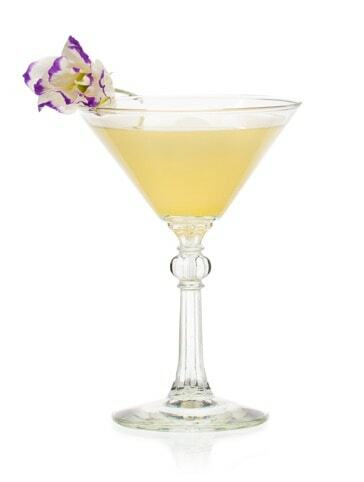 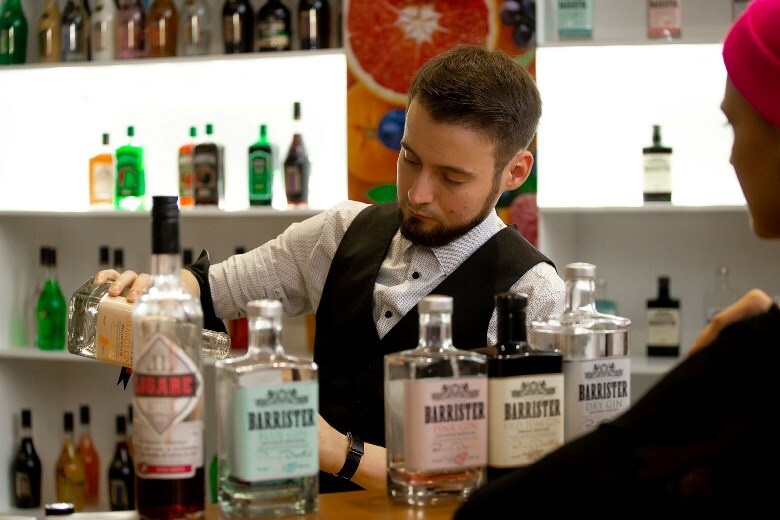 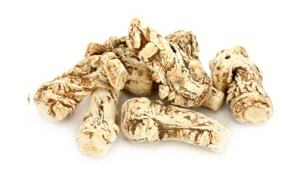 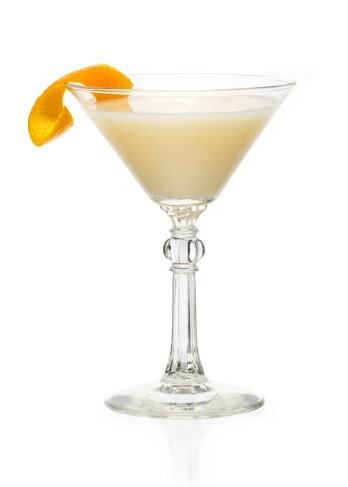 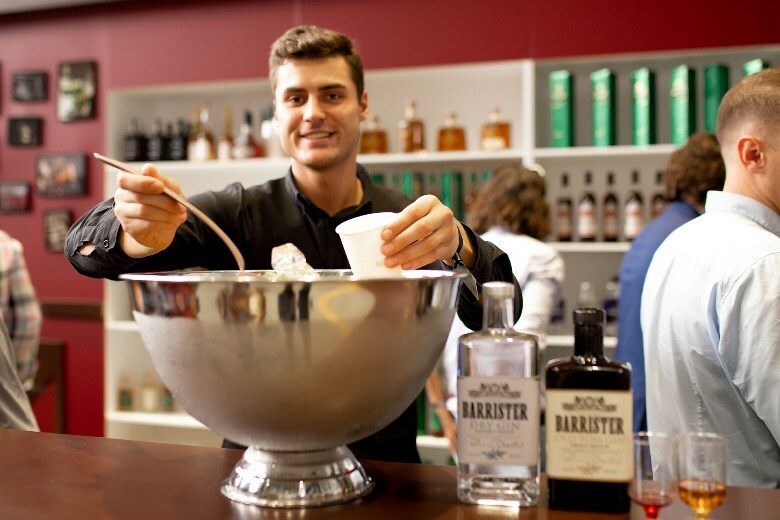 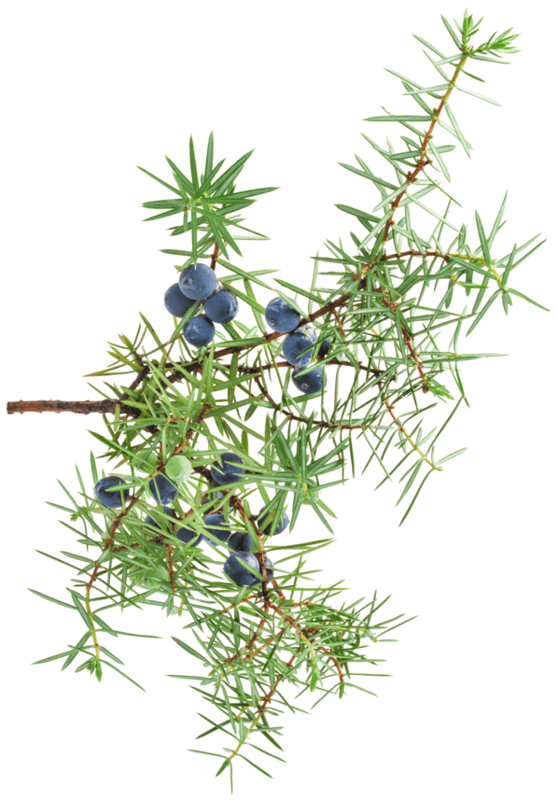 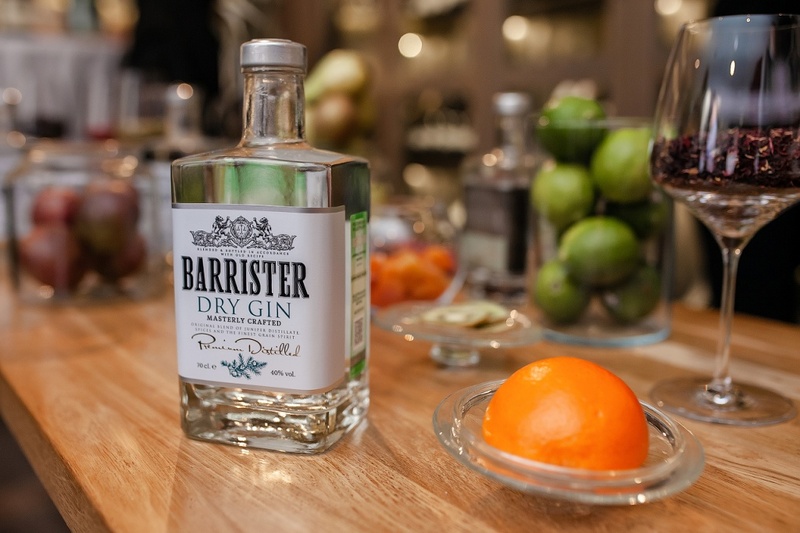 The Barrister Russian gin was already known in the categories Dry Gin and Old Tom for the majority of the guests. 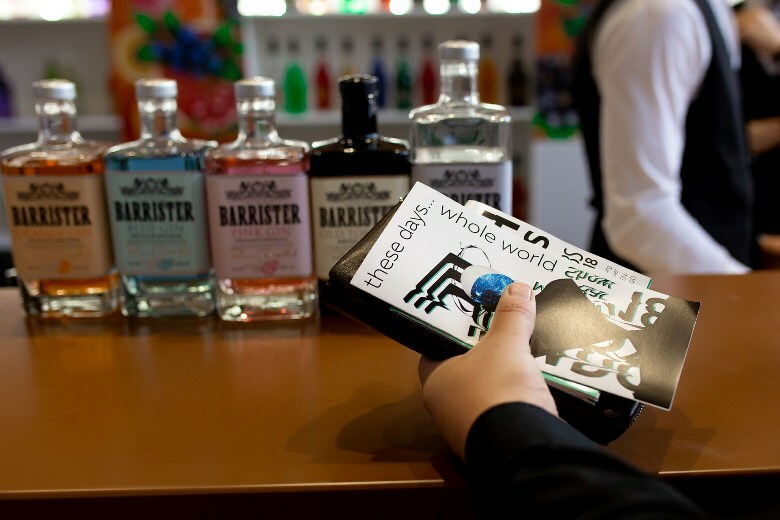 And these new gins were really surprising and thought-provoking in terms of adding new positions to their menus. 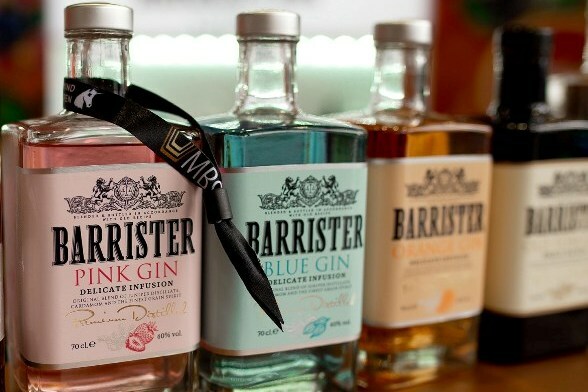 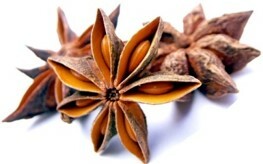 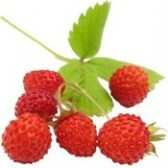 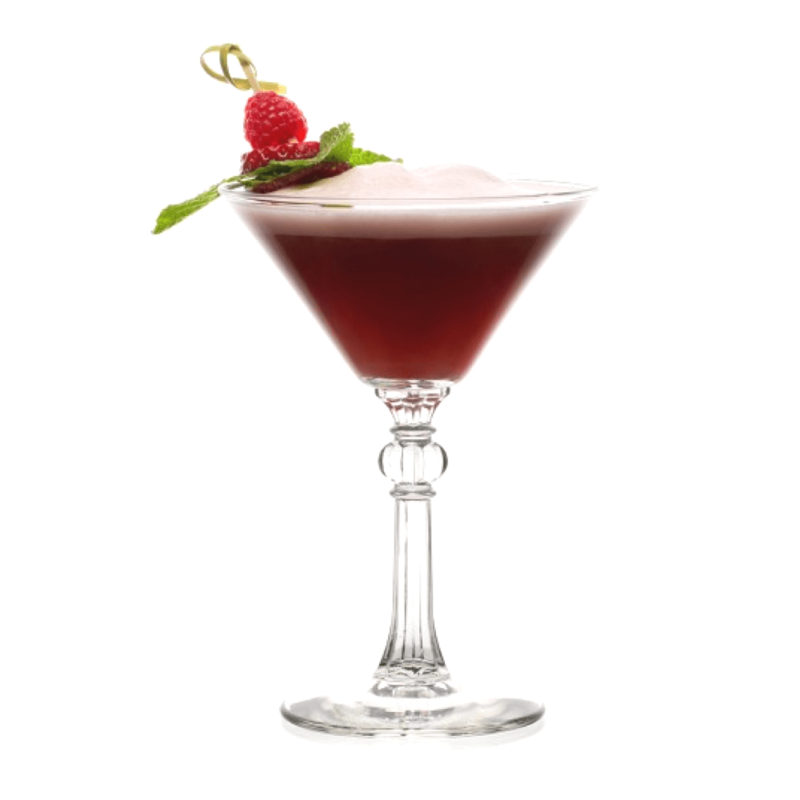 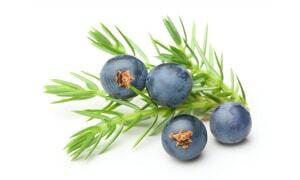 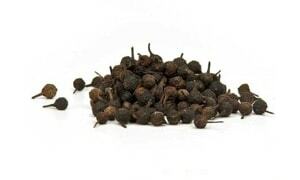 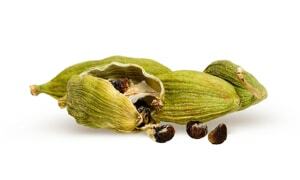 The new flavored gins are made from natural ingredients, one of the botanicals dominates in each one: Barrister Pink – wild strawberry, for berry-lovers; Barrister Blue – a mixture of orange and cardamom; Barrister Orange – an orange peel with 43% potency, made specially for cocktails with emphasized citrus note. 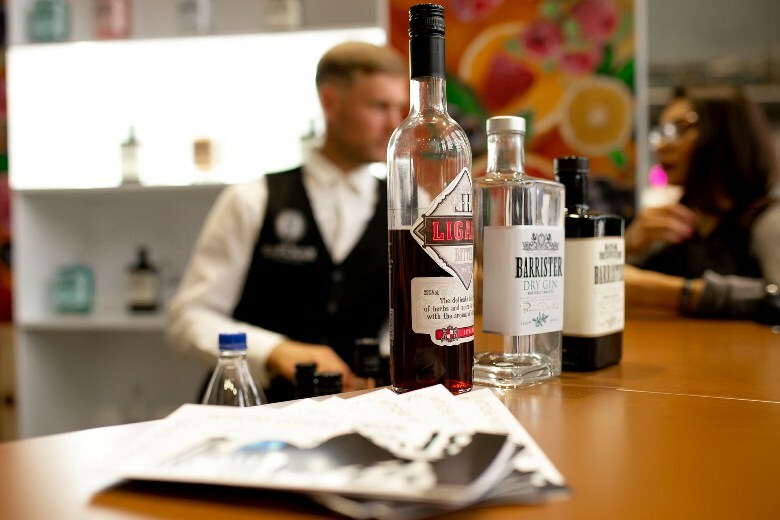 According to IWSR data gin is one of the most fast-moving category. 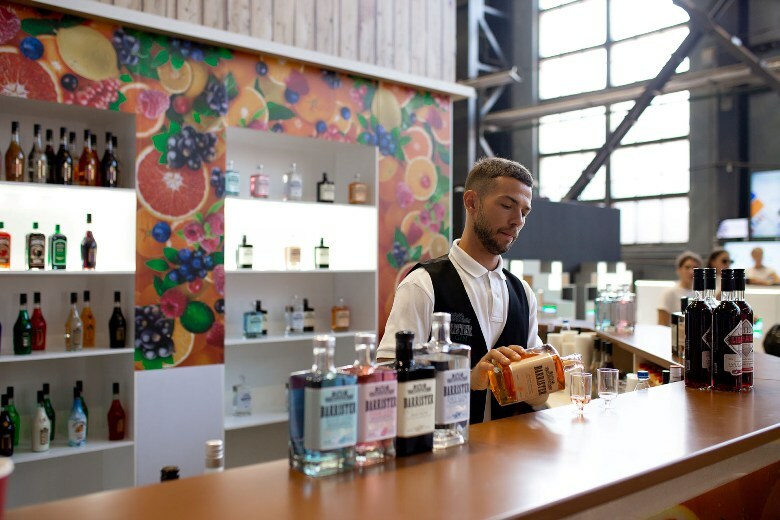 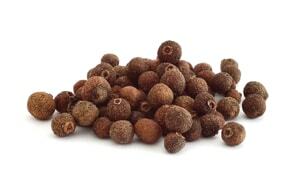 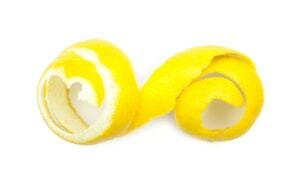 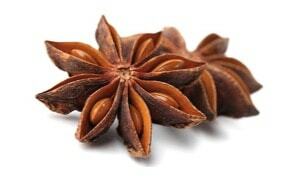 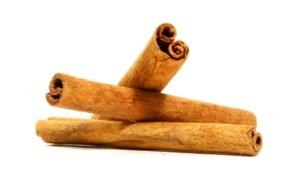 At the same time flavored gins become more and more popular with 3-digit growth rate during last years. 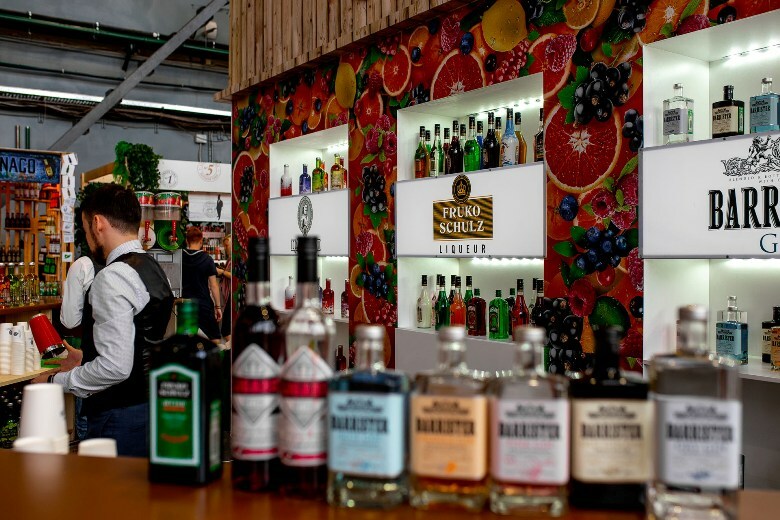 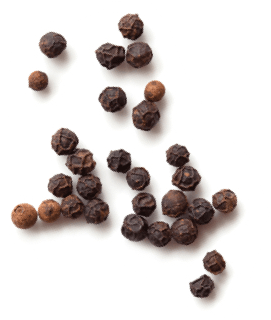 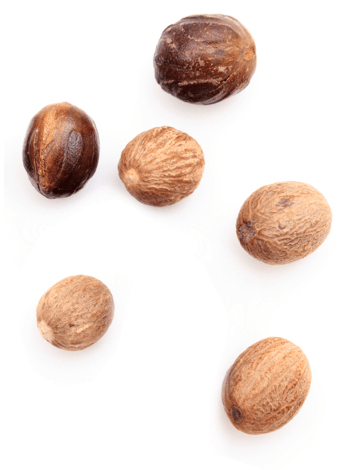 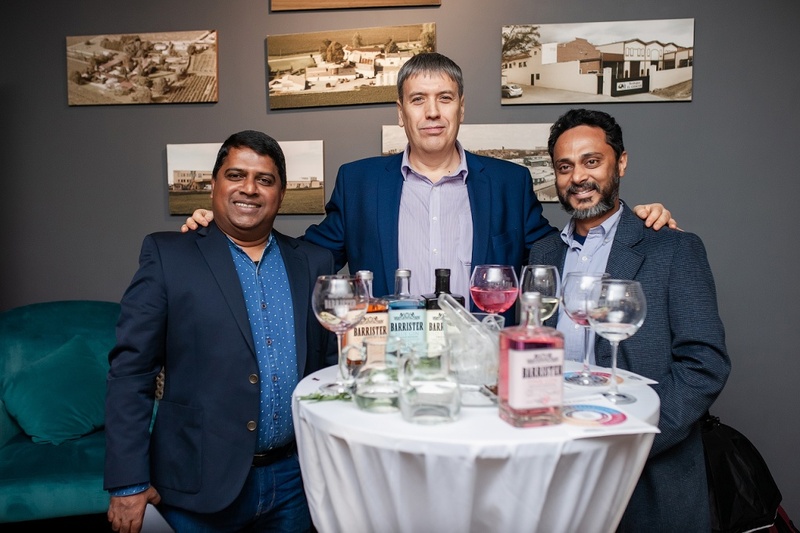 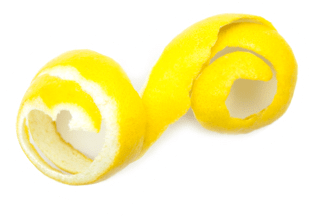 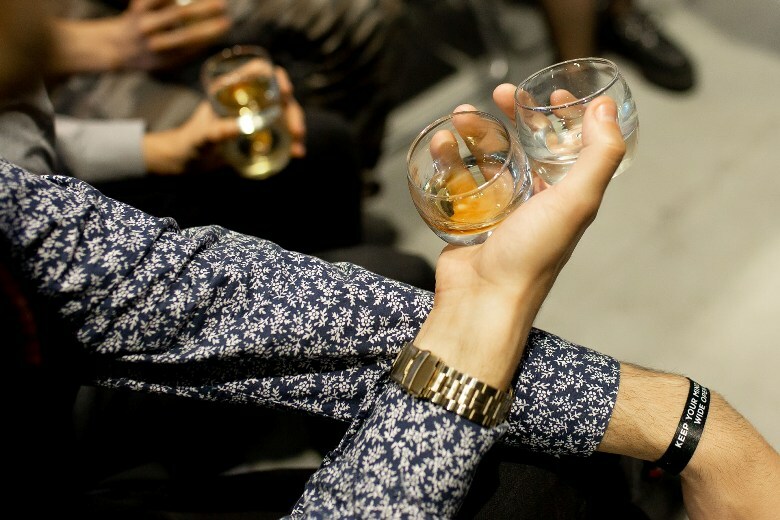 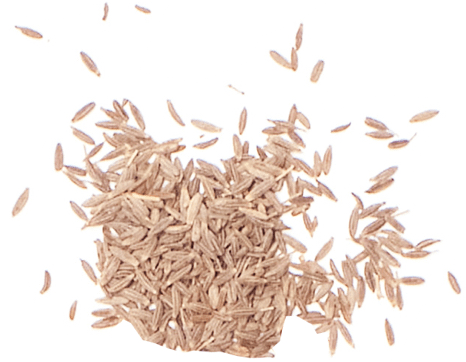 According to IWSR forecast, with such a start of flavored gins campaign in Great Britain, The Netherlands, Portugal and Italy, the category is expecting a twofold increase in the nearest five years. 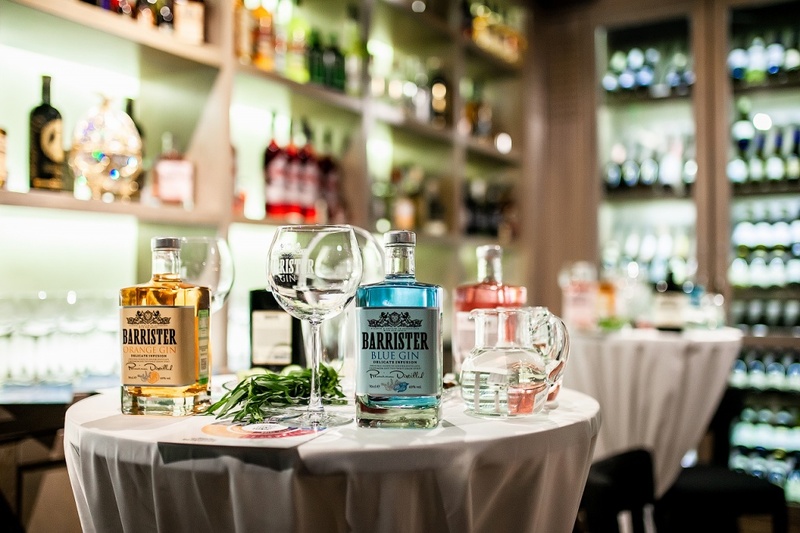 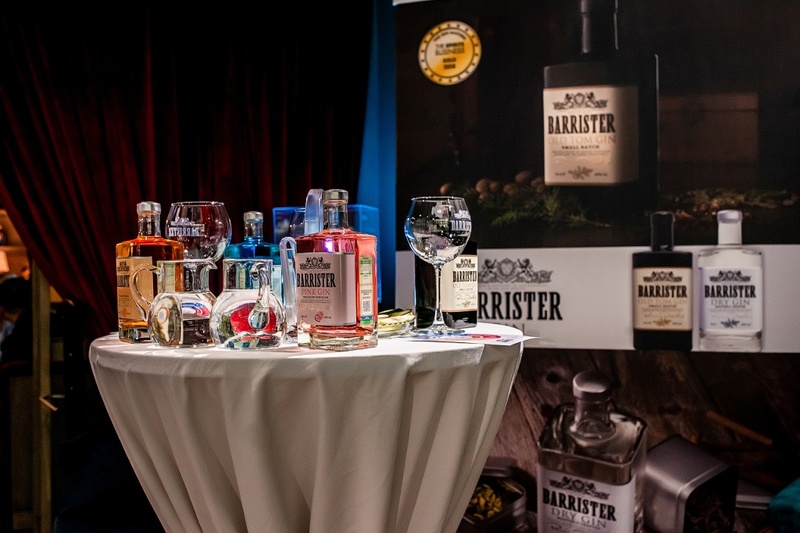 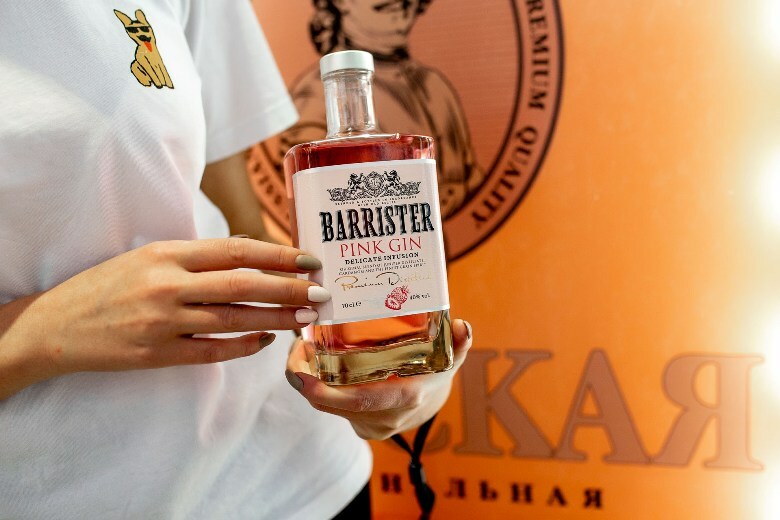 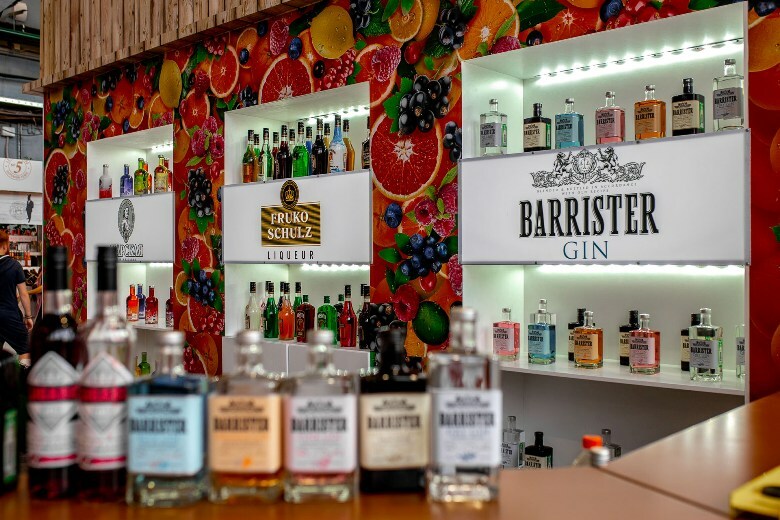 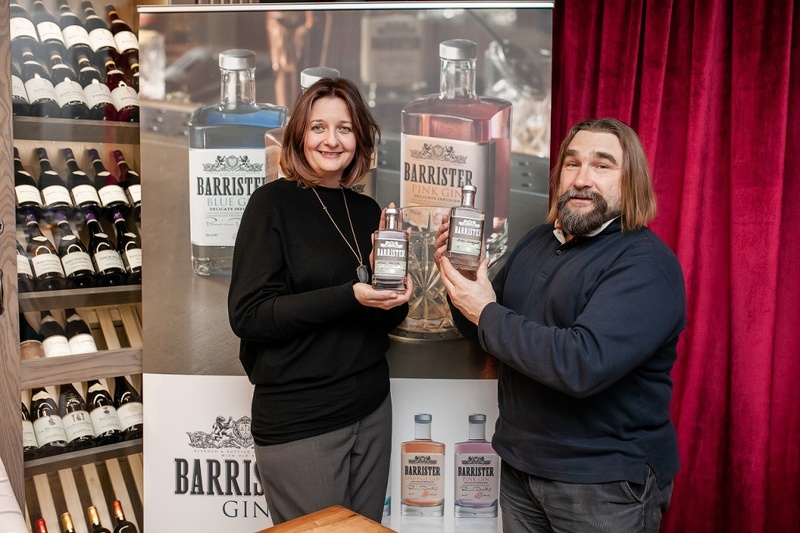 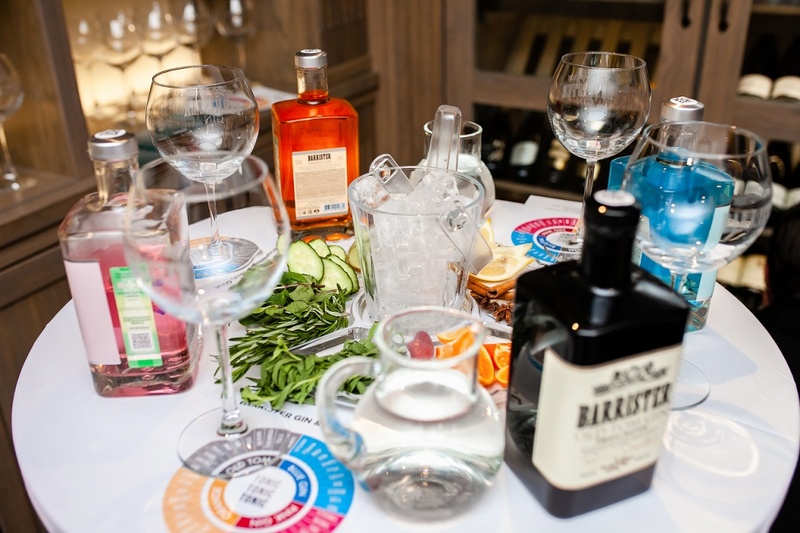 Barrister is the first Russian gin internationally acknowledged by the most authoritative tasting competitions like IWSC, The Gin Masters, World Gin Awards, Beverage Testing Institute. 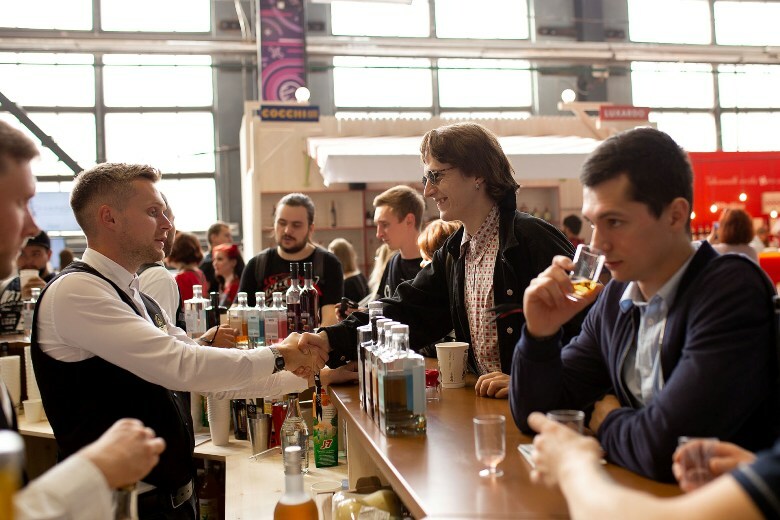 The Moscow Bar Show 2018 is finished. 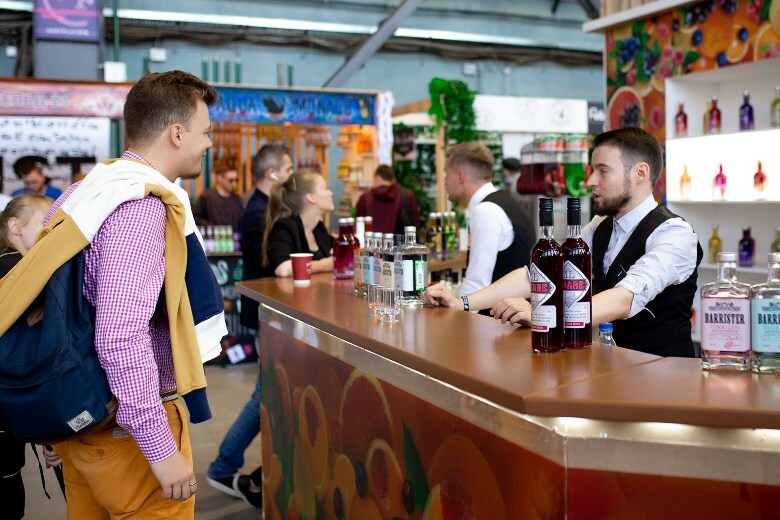 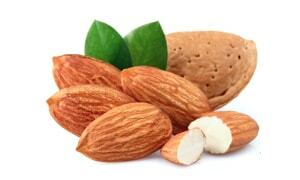 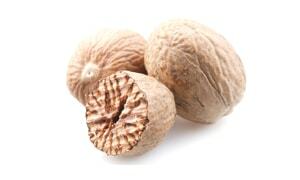 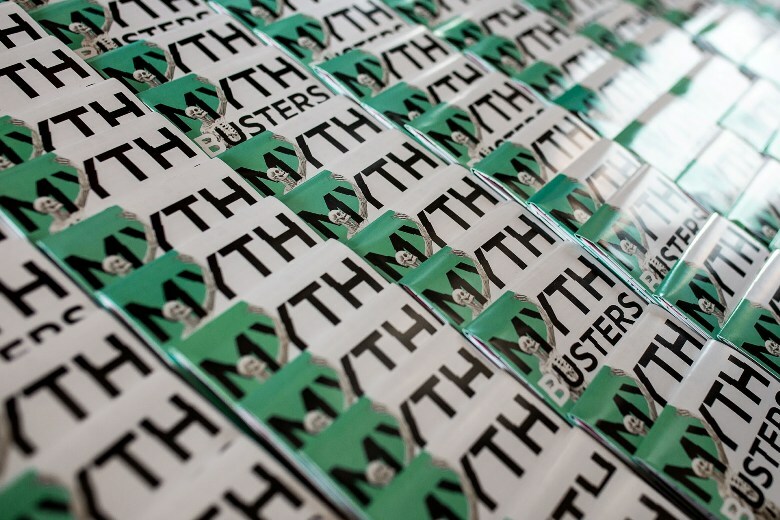 All myths are dispelled, the new products are tasted and night parties are held. 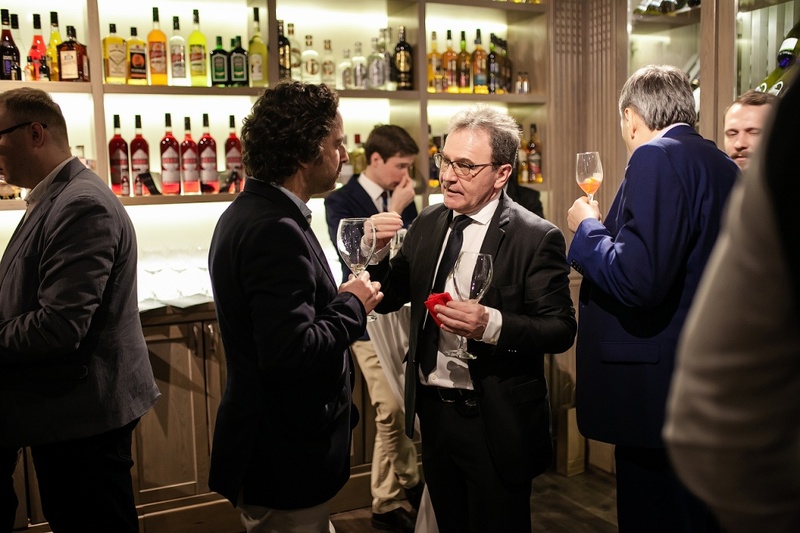 And while everybody summarizes results and unpacks suitcases you can look through a several pictures from that three crazy days. 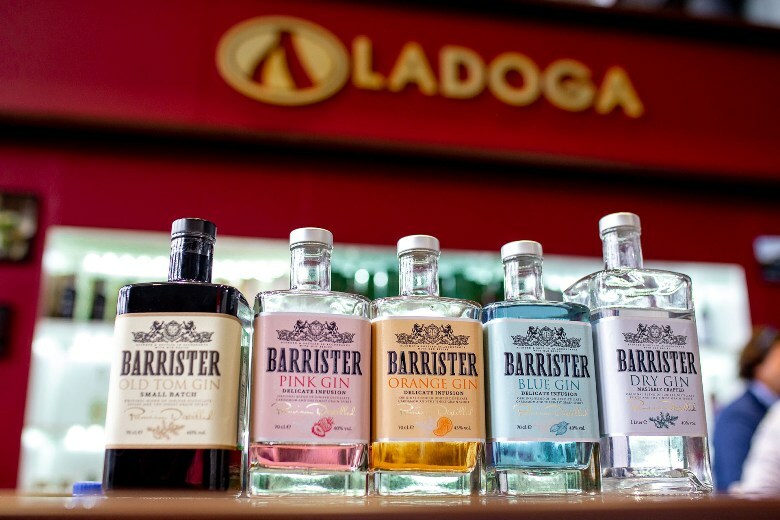 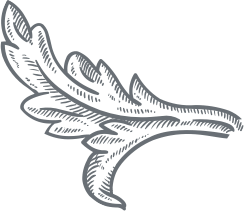 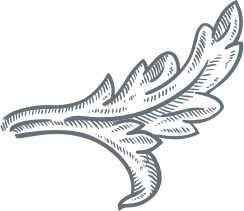 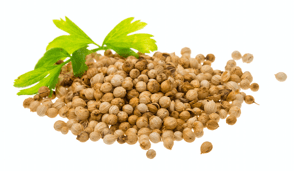 The stories about LADOGA’s news and events from this MBS – a little bit later. 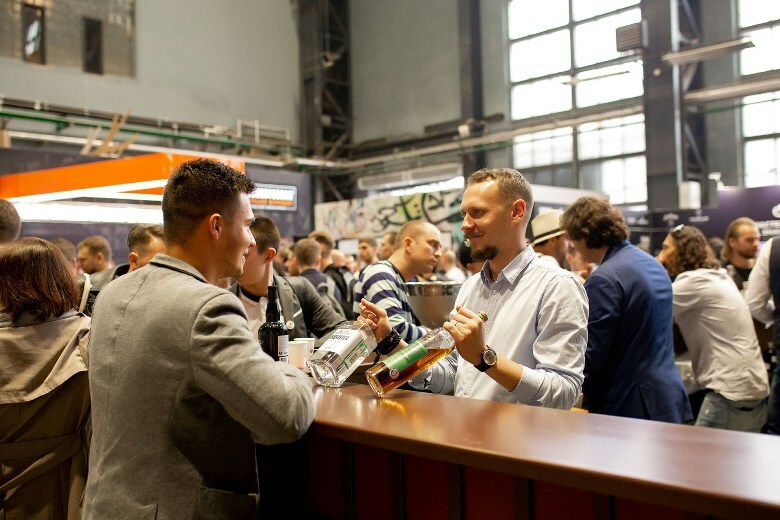 And now – WELCOME to MBS 2019!